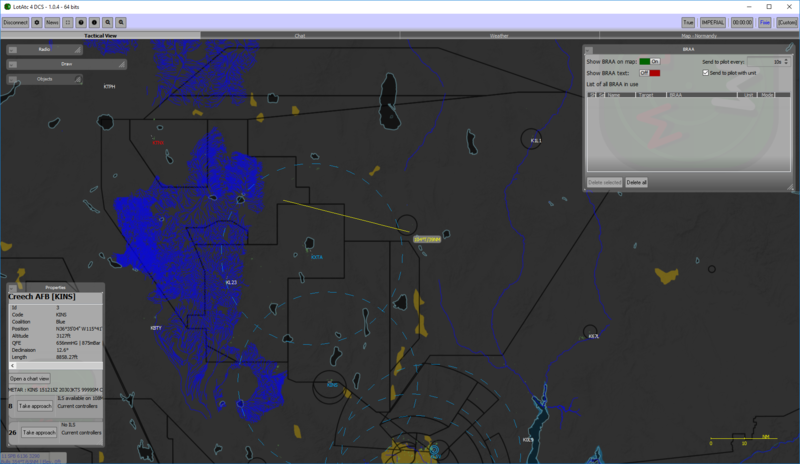 LotATC is a 3rd party application for DCS World, written by DArt, that displays the active map of a server in a more friendly and accurate view to simulate the radar screen of an Air Intercept Controller or other radar operator. It provides tools for persistent BRAA (Bearing Range Altitude Azimuth) and for controlling precision approaches to all the airfields in the existing DCS World terrains. The application will also interface with Universe Radio to simulate Transponder and IFF functionality. The official LotATC website has detailed, step-by-step, installation instructions for both the Client and Server versions of the application. They have a Discord server for users to collaborate and discuss the application. The official DCS Forums also have a post for the application. This page was last edited on 14 October 2018, at 21:02.